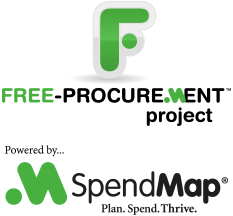 With the help of some of our friends in the Free-Procurement Community, we found and corrected a couple problems in the Free Version of SpendMap related to exporting reports to Excel. Thanks Cathy and Therina, for helping us track this down! Depending on your version of Windows and Excel, SpendMap might exit and/or produce a Runtime Error when it tries to create the spreadsheet, after generating the report. Please select the menu HELP > CHECK FOR UPDATES within SpendMap to update your system. This is a “patch” only (i.e. not a version upgrade), so it will not change any features and your system will remain at version 14. Sorry for the inconvenience, folks. If you have any questions, you can reach us via our free support ticket system.